Cecil Ernest Philcox was born in 1895. After attending Dulwich College he worked in a timber broker’s office in the City (his father was a timber merchant). 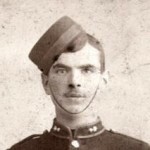 He enlisted in the ranks of 12th Battalion of the London Regiment (The Rangers). 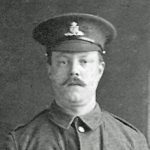 One of his two brothers, Percy William Arthur Philcox, was killed in action with the Rangers on 8 May 1914. 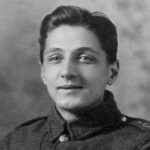 Cecil was transferred to the Inns of Court Officers Training Corps at Berkhamsted on 20 April 1915 and in July was given a temporary commission in the 10th (Reserve) Battalion of the South Staffordshire Regiment at Harrogate. He took part in action at High Wood, Mametz, Beaumont-Hamel, Arras, Serre, Martinpuich, Bullecourt. 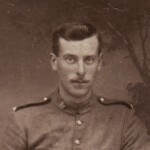 In November 1916 Cecil was appointed Battalion Bombing Officer. He died on 24 May 1917 at No. 45 Casualty Clearing Station near Bullecourt of wounds received three days earlier when a defective No. 5 Mills grenade thrown by Private T. Hindley exploded during training, fracturing Cecil’s skull and injuring Hindley himself and Lance Corporal Carrington. A court of enquiry held in the field, at which three witnesses gave evidence, and Hindley made a statement, concluded that no one was to blame for Cecil’s death. All described how Cecil had given the order to throw, how Hindley’s throw was a good one and made in the “regulation manner” and how the grenade exploded only six feet away from the bombing party. Cecil was mentioned in despatches and awarded the Military Cross for conspicuous gallantry and devotion to duty. Cecil’s family lived at 255 South Lambeth Road. 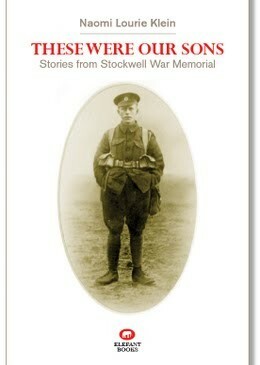 His father, Alfred James Philcox, who died in 1913, was a timber merchant, originally from Kentish Town, north London. His mother, Alice Eliza Philcox was born in Lambeth. 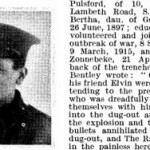 After Cecil and his brother Percy died in the war, two children survived: Alfred Reginald, who in 1911 was working as a clerks in a timber merchant’s office (presumably his father’s) and Ethel Beatrice Philcox. On the night of the 1911 census Cecil Ernest Philcox, aged 15 and still at school (Dulwich College), was at his cousin’s house at 29 Kingsmead Road, Streatham. Leonard Wilfred Philcox, 13, was the son of Mervyn Philcox, 50, a watch and jewellery dealer born in Wandsworth, and Martha Jane Philcox, 51, from Lambeth. Meanwhile, his family were at 255 South Lambeth Road. 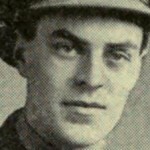 Alfred James Philcox, 59, was a timber merchant, born in Kentish Town, north London. His wife, Alice Eliza Philcox, 55, was born in Lambeth. 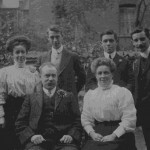 They had five children: Cecil; Alfred Reginald Philcox, 22, and Percy William Arthur Philcox, 19, both clerks in a timber merchant’s office (presumably working with their father); Ethel Beatrice Philcox, 18; and one other. All the children were born in Lambeth. Florence Maud Philcox, 19, a niece born in Lambeth, lived with the family, as did Kate Elizabeth Percival, a 20-year-old single domestic servant from Rotherhithe, south-east London.